When it comes to coal washing, RPM Solutions has the ability to provide superior solutions through our vast knowledge of the coal industry. A coal preparation plant is a facility that washes coal of soil and rock, crushes it into graded size chunks and stockpiles grades, preparing it for transport to market. Coal washing represents the most important step of coal preparation. The raw run-of-mine coal requires selective qualitative and quantitative analysis for finding the most suitable operating conditions for cleaning coal to obtain the desired quality. Among these analyses, the washability test is most important. RPM Solutions delivers unparalleled value through our solution portfolio. RPM Solutions delivers custom solutions, tailored to each specific need. 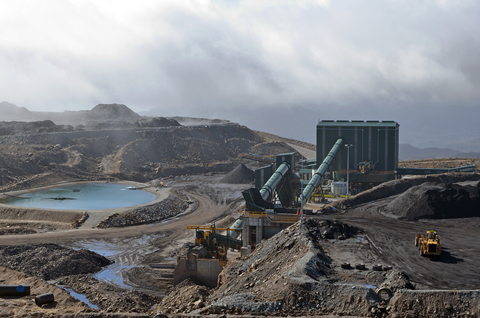 RPM brings a deep wealth of mining, machining and screening experience. RPM Solutions uses proprietary equipment technology and refined operating skills to provide the best service possible. Coal that comes from a mine is a complex mixture of materials with a large variety of physical properties. In addition to the coal itself, pieces of rock, sand and various materials are contained in the mixture. Thus, before coal can be sold to consumers, it must be cleaned. Coal washing involves using water and mechanical techniques and relies on gravity and the difference of density between coal and its’ impurities, which are usually more densely packed due to the fact that they are inorganic. Washing coal increases its efficiency and quality, therefore increasing its price. Coal washing can also help to reduce emissions from burning. The washability characteristics of a coal reserve are provided by obtaining liberation data on the raw coal sample. Liberation refers to the amount of physical breakage required to separate material of different material densities. Low density material is clean coal while high density material is reject rock. Coal washing is accomplished by one of two major processes, by density separation or by froth flotation. Both processes depend on the fact that the particles of which a coal sample are made have different densities. When water is added to the sample, particles sink to various depths depending on their densities. The various components of the sample can be separated from each other. A number of devices and systems have been developed for extracting the various components of coal once they have been separated with a water treatment. One of these devices is the jig. In a jig, the column of water is maintained in a constant up-and-down movement by means of a flow of air. Clean coal particles are carried to the top of the jig by this motion, while heavier refuse particles sink to the bottom. To find the relative ease for separation of coal from the refuse. To find the effectiveness of coal washing. To characterize the type and amount of impurities. To gather the information for designing a separation plant. The washability test is done by float and sink method. It is an important analytical technique for the cleaning of coal in the most effective way. At RPM Solutions, our goal is to deliver superior coal process solutions for our clients, big or small, regardless of the location. We differentiate ourselves through our advanced skills and preparation. RPM Solutions’ commitment to detail is the most important component of our success.